This interactive e-learning programme is a learning tool created just for you! 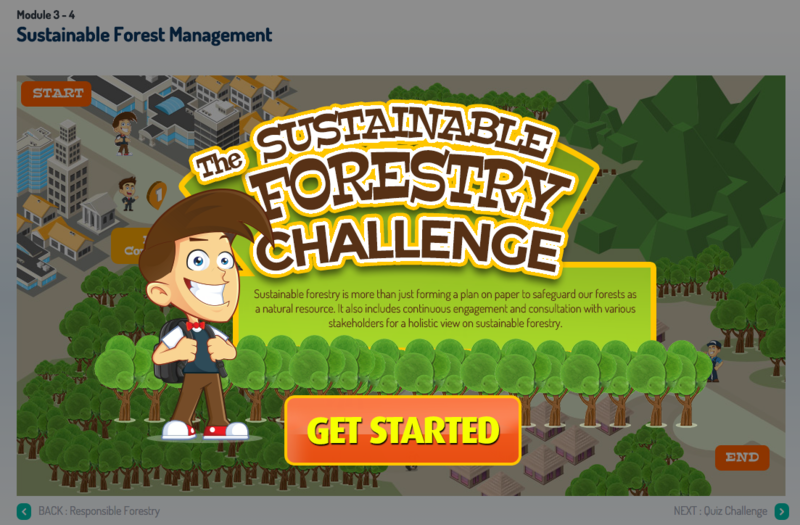 Packed with videos, quizzes, and fun facts, it allows you to explore topics ranging from paper manufacturing to forest conservation! 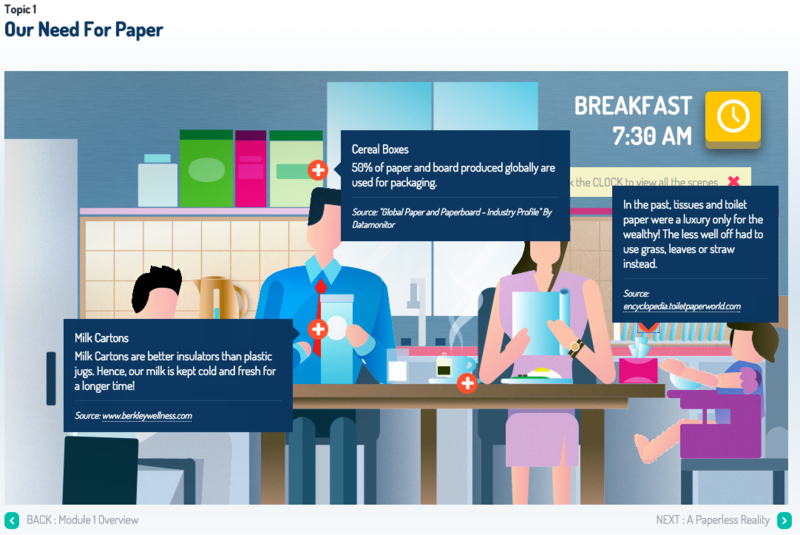 In this module, we learn about an indispensable part of our daily lives – Paper! Find out how papermaking has evolved over the centuries to become a sustainable process. We’ll even show you a step-by-step video of the papermaking process in the region! Haze is an environmental pollution that affects our country. 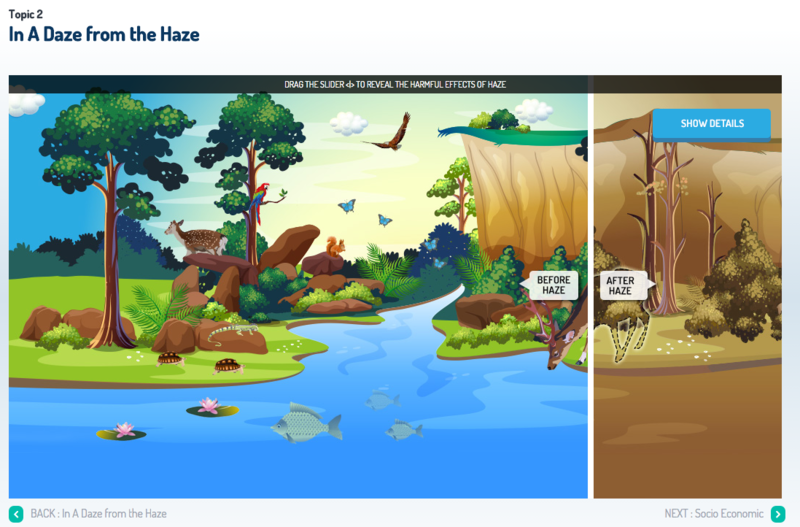 In the second module, we clear the doubts that cloud the facts and show you where the haze comes from and how it affects us. Furthermore, we show you the strategies in place to fight this smoky issue. Criticism against deforestation has become increasingly loud in recent years. Indonesia – where forestry is a key industry – has borne the brunt of most of these accusations. Many parties must be involved in protecting the forests in order for it to have a lasting effect. The private sector in particular, plays a big role in ensuring that important areas of high conservation value forests are conserved. Let’s take a look into the impetus behind the forestry and how we can keep our forest resources around for many years to come through sustainable forest management. 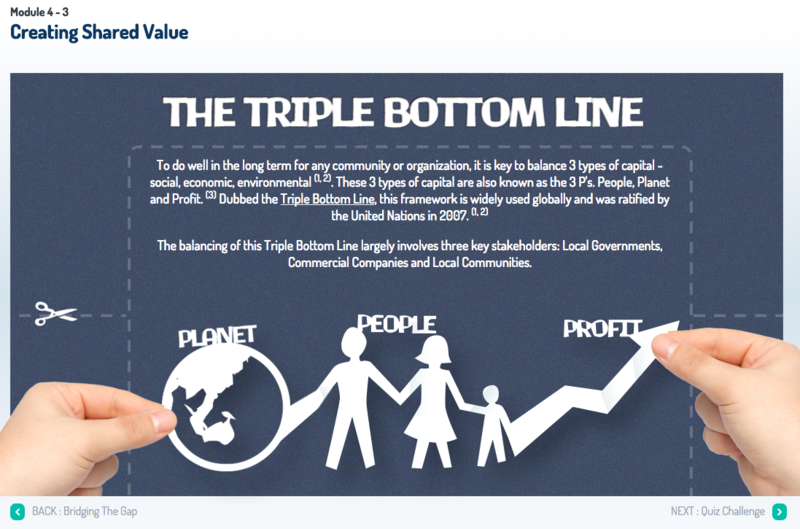 Sustainable operations require fulfilling the triple bottom line – people, planet and profit. In this module, we focus on “people”, highlighting local communities and the benefits they can derive from forestry. While balancing these bottom lines can be complex, you will learn how effective engagement between various organisations can still bring about the best ways in sharing the benefits of forestry!